Virginia’s Eastern Shore has long been known for its bountiful harvest yielded from the endless fields of potatoes, watermelons, soybeans, corn, and other vegetables as well as the freshest seafood found anywhere — especially oysters. In the past decade, wine flowing from grapes at Chatham Vineyards has made for a great compliment. 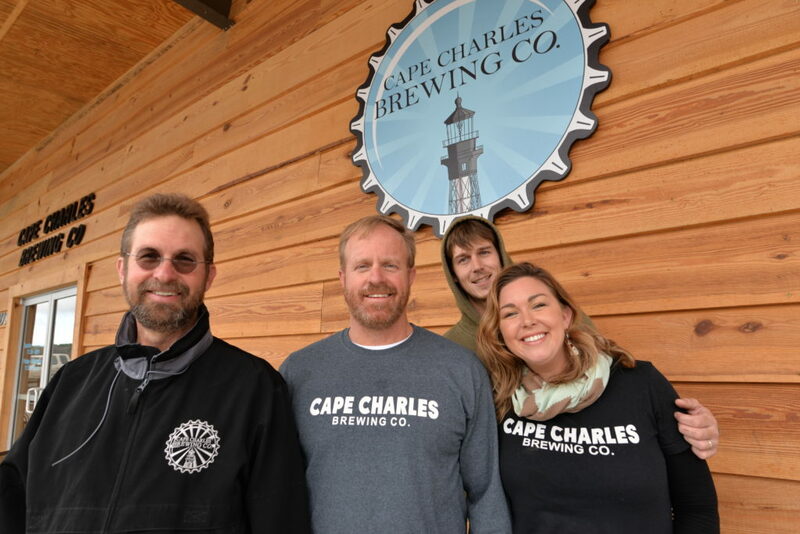 Now, add quality craft beer to that mix in the form of Cape Charles Brewing Company. 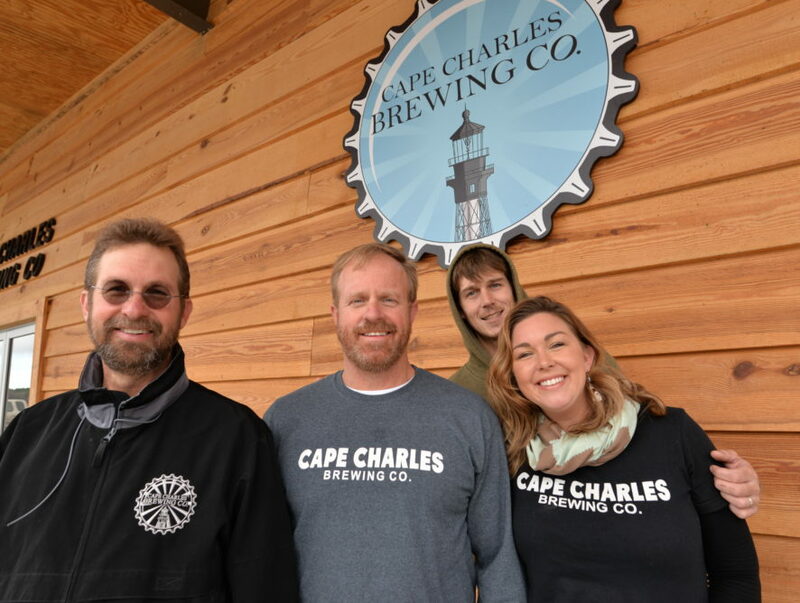 Cape Charles Brewing Company — conceptually — was born on Father’s Day 2016. Mark Marshall was an avid home-brewer and invited his daughter, Rachel Diamond, over for his latest fluid experiment. After several beers and sticky notepads scribed with ideas, a brewery was born. Mark Marshall was retiring from over 30 years in law enforcement, having served as Chief of Police in Smithfield before being elected Sheriff of Smithfield. Rachel, a teacher by profession, was wanting to move back to the Shore from North Carolina. 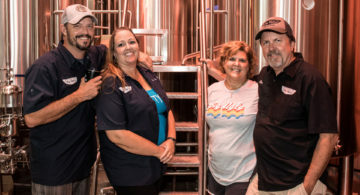 They recruited Mark’s brother, Chris Marshall, and with the help of their mother plans for the brewery began to take shape, though the operation wouldn’t open until June 2018 — a year after projection. The entire family participates in the running of the brewery. Rachel Diamond is the restaurant and tasting room manager. Her husband, Zach, is the “fix-it” guy and a master carpenter. 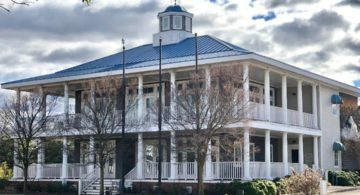 Cape Charles Brewing Company is classified as a brewpub. It operates a full-service kitchen specializing in steamers — steamed clams ($11/dozen), oysters ($10/half-dozen, $19/dozen), jumbo shrimp ($18/pound), and Oyster Rockefeller ($12.50/half dozen oysters baked with kale, bacon, onions, garlic and cheese). Also from the sea is the locally-caught Rockfish Sandwich ($14), House Beer Battered Fish & Chips ($15), Fish Tacos ($12), Tuna Burger ($12), and Cobb Island Crab Cake Sandwich ($15). If for some crazy reason you don’t love fresh seafood try the Steak Frites ($17.50/8 oz sirloin with chimichurri sauce and sea salt fries), and variety of burgers, and Pulled Port BBQ Sandwich ($12) smoked right outside next to the parking lot. Vegetarians has a choice between the Greek and House salads ($4.50 to $10). Soft pretzels ($7), Brew-House Wings ($9) and Loaded Nachos ($12) take the bite out of your afternoon munchy craving. Their clam chowder won the Judge’s Choice first place award at the Eastern Shore Chowder Cook-off. Every aspect of the brewery is meant to celebrate and communicate its location of the natural beauty and lifestyle of the Eastern Shore. When you enter the tasting room/restaurant, a variety of tables and chairs invite you to sit and stay awhile. The wood used for the table tops, the tasting bar, and interior walls is native to the Eastern Shore. The table tops are knotty pine. The bar top is black walnut made from a single tree. They are coated with an epoxy resin. Overhead, industrial cobalt blue light fixtures provide a rustic, nautical atmosphere. Photographs — many of them aerial — show the pristine scenery of the Shore and its small, marshy barrier islands. The tap handles used both in the brewery tasting room as well as in restaurants in Hampton Roads and on the Eastern Shore feature the Cape Charles Lighthouse. 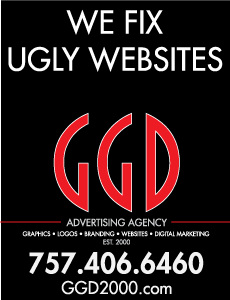 Talk about branding. Interestingly enough, the town of Cape Charles fabricated the exterior of its water tower to resemble the same lighthouse. 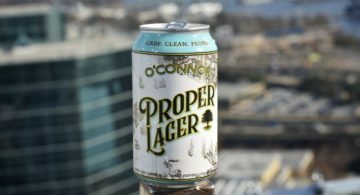 The beer names also tie-in with the Eastern Shore, giving every ounce a reinforcement of their sense of place and pride in the community. Taking a flight test to sample the beers? Try these: Assateague Island New England IPA, Fisherman Island Double IPA, Cobb Island IPA, Smith Island Imperial Stout, Seaside Sour, Assateaugue Island Pils, Nor’Easter Pale Ale, Ole’ Reliable Lager, Bayside Belgian Farmhouse Ale, Puddle Pirate Porter, and Heff’n Fairytale Hefeweizen (so-named after Zach responded to the idea of opening a brewery in Cape Charles). The beers with “Island” in the name are considered flagships. When possible, the brewery makes use of local, Eastern Shore ingredients. Smith Island Imperial Stout is made with 300 Chincoteague salt oysters. And, when the supply meets their needs, they use hops from Seaside Hops from nearby Machipongo. While Mark enjoys brewing beer, he made a wise decision in hiring a commercial brewmaster by the name of Brian Martin, whose brewing credits include Avery Brewing and running 3 Notch’d Brewing Company’s sour barrel program in Charlottesville. Behind a glass window, patrons in the tasting room can gaze into the 15-barrel brewhouse. 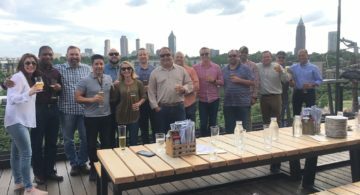 “We built it for distribution, not just the restaurant,” said Chris Marshall. The tasting room benefits from local residents as well as tourists since they are literally the only game in town on the brewery level. Cape Charles Brewing Company beers are distributed by Hoffman Beverage Company in Southside Hampton Roads and on the entire Eastern Shore of Virginia by Wendell Distribution.